English writer and nobleman William Penn once said a true friend unbosoms freely, advises justly, assists readily, adventures boldly, takes all patiently, defends courageously, and continues a friend unchangeably. 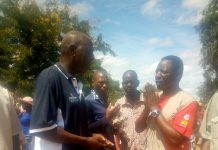 Musician Zexie Manatsa saw the late music icon Oliver Mtukudzi as a friend after the latter saved his life in Victoria Falls some decades ago before independence. Sitting among mourners in Norton, Manatsa’s face looked dejected as he tried to come to terms with the death of his friend, inlaw and fellow musician Mtukudzi. He spoke of how he assisted a lot of musicians during his time as he was one of the top local artistes then. “Mtukudzi came to my house asking for assistance. “I agreed to have him as one of my supporting acts,” Manatsa said. The two became friends. 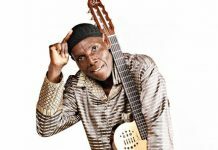 According to the “Chipo Chiroorwa” hit maker, Mtukudzi is the only musician who came back to thank him. “I have assisted several musicians but Mtukudzi is the only one who came back to say thank you. He gave me a gift at Meikles Hotel as a way of thanking me,” he said. Their relationship was cemented later by the marriage of his son Tendai to Mtukudzi’s daughter Selmor. 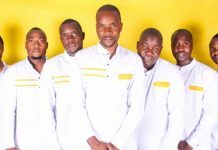 Manatsa who was leader of Green Arrows band reminisced on how he became close to the late music icon. He recounted how Mtukudzi saved his life in Victoria Falls when they had gone for a tour. “We were supposed to perform in Bulawayo, Dete and Victoria Falls. On our way there, just before Gweru, we were stopped by Rhodesian soldiers. One of them identified me and asked why I recorded the song “Musango mune hangaiwa” and I was beaten,” he said. Musango mune hangaiwa was recorded in 1978 for the liberation struggle guerillas as a cry for protection. Manatsa says that after the beating they proceeded to Bulawayo but because of the bruises he had incurred, only Mtukudzi performed. “I could not even sit because I had been bruised. Mtukudzi performed there and we proceeded to Victoria Falls. 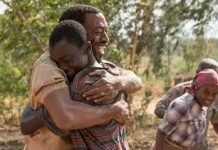 We met other soldiers again there,” he said and Manatsa thought that was the end of their world.